I tried to search the forums to see if this was already a topic, but did not find it. 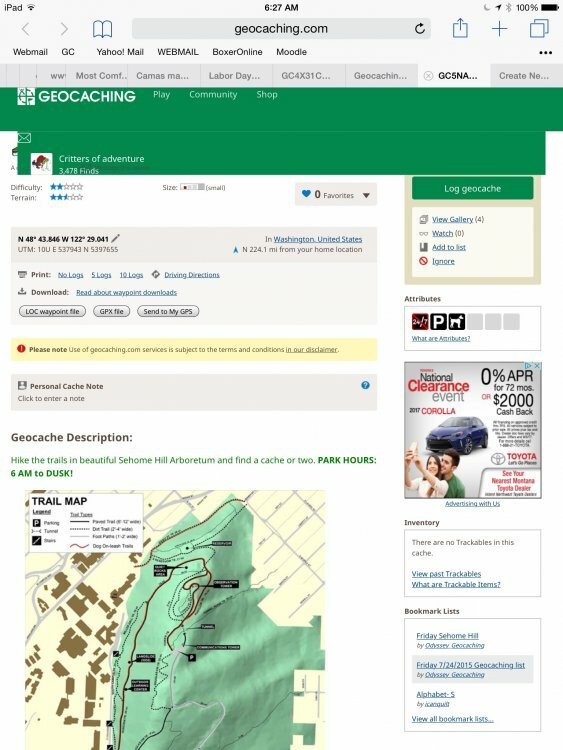 Something has recently changed so that when accessing the geocaching.com website on my IPad mini I cannot see any part of the right side of the title banner. This includes the three horizontal lines and access to my profile. Trying to drag around the page left and right does nothing. Then if I access a cache page, my profile icon shows up over the top of the cache information. It does not matter whether I am holding my IPad mini vertically or horizontally. When I travel, I only carry my IPad, but this will greatly limit my ability to do what I want to on the page. 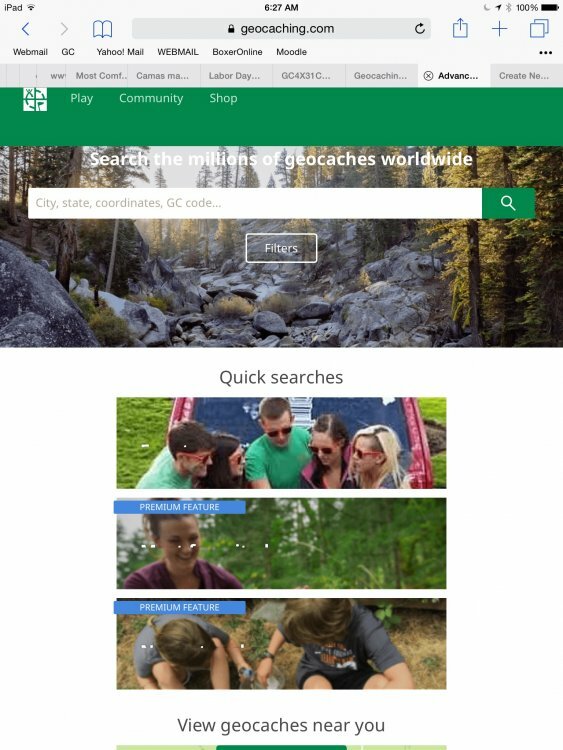 When it works, I prefer the actual webpage to the app for many reasons. Thanks for any help. It appears as though this is only affecting Safari browsers on iOS 8/Mountain Lion or older. Both of these versions are 3+ years old and have been replaced by multiple newer OS iterations. If you are running into this display issue, my recommendation is to update to one of these newer releases as it should resolve this issue (and address a bunch of security gaps unrelated to our site/app). Ultimately, we can't promise support for these old browsers as, frequently, fixes for them would require complete overhauls that would be incompatible with newer devices. This is the case with this one, as we believe it to be a fairly foundational issue. If you are NOT on iOS 8/Mountain Lion or older and still affected by this issue, please let us know!